The Jacobsen HR500 & HR600 have been developed from the ground up as a new generation of adaptable and practical wide area mowers. Delivering productivity on all fronts, the Jacobsen HR500 & HR600 are highly manoeuvrable, engineered for reduced downtime and produce the widest width of cut in their class. 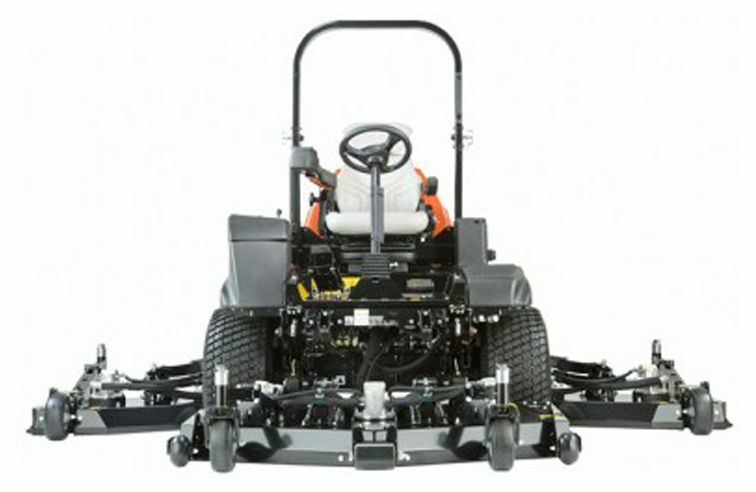 The first in a range of wide area mowers, the HR500 and HR600 are designed with high strength steel throughout, reducing overall weight where possible to make best use of their available power. A range of engines, control systems and cutting widths are available to give options for all budgets and working conditions. Fingertip operated joysticks for individual deck lift/lower; cross cut position; front deck service position with lock pin. Electronic safety locks.